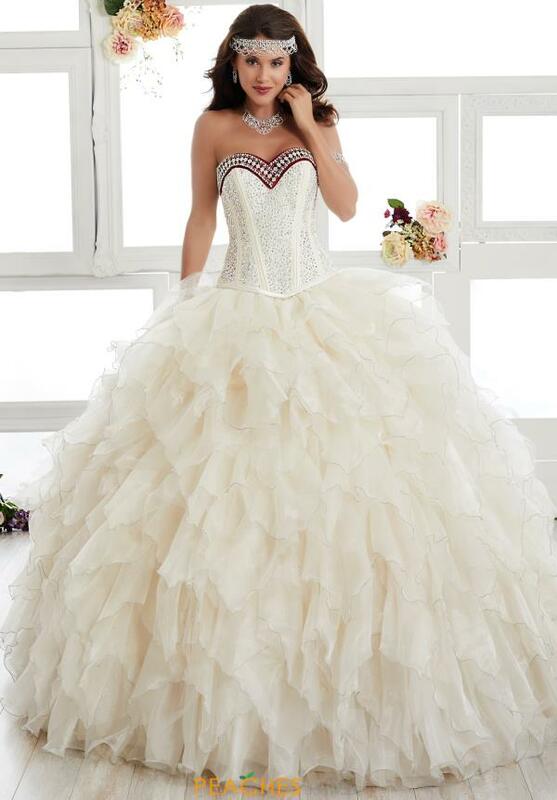 Be the center of attention with Tiffany quinceanera dress style 24010. Featuring a corset bodice that is embellished with sparkling silver bead work along with a contrasting sweetheart neckline. It is followed with a full multi tiered organza A line skirt. Has the perfect finish with a lace up back that will accentuate your figure.